Which Crystals Can Help Me Get The Job I Really Want? Hi! I was wondering what crystal is good for getting a first job? I really want this job and I hope they will call me. Thank you for your question about how which crystals are good to get a job that you really want. 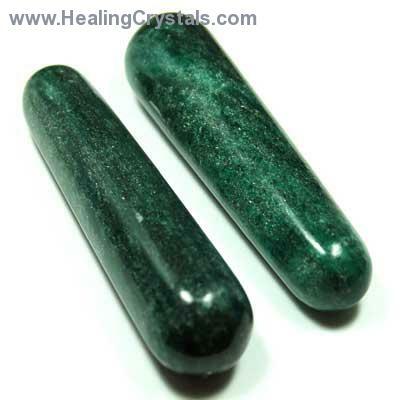 I was out of work for a very long time and I would carry Green Aventurineto attract a great position that would give me everything that I needed in a good job. Lapis Lazuli to help me express myself well during interviews and to show how I could be an asset to the organization. Rose Quartz to remind me not to be discouraged if things don't work out because I am very special and that means something better is going to come along. I also carried Onyx for protection and as a warning system if there was something off and this was not the right job for me. Remember that you are interviewing them too! These really helped me and I did find a job where I am really happy - and I know that you will too! When it happens bring Labradoriteto help you transition. I wish you the best of luck in your job search and thank you for your support of Healing Crystals.com. Please let us know if you have any further questions. Wishing you lots of love and light and a wonderful new job!